What do Jennifer Garner, Keira Knightley and Sarah Jessica Parker all have in common? They are all famous Aries women. They’ve all found themselves in positions where they naturally lead other people, and have been looked upon for advice, wisdom and guidance. Aries women are fiery, passionate and energetic, so if you’re looking to attract one, date one or live in the same house with one, prepare yourself! You will notice that Aries women have a sharp sense of style and an air of confidence in the way they carry themselves. The assertiveness and confidence in Aries women leads them to seek a partner who shares that sensibility. Don’t beat around the bush with an Aries woman, because they simply won’t give you the time of day. Be honest and to the point, they will find those characteristics attractive. Be comfortable and confident enough in yourself to let her lead the way when it makes sense, and she will appreciate you for that. Do you have any experience with Aries women? Are you yourself one? Leave a comment for other readers! 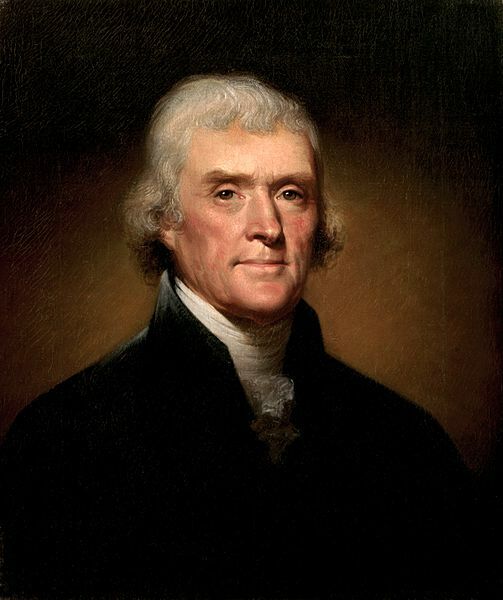 What do Hugh Hefner, Russell Crowe and Thomas Jefferson all have in common? They are all famous Aries men. They’ve all found themselves in positions where they naturally lead other people, and have been looked upon for advice, wisdom and guidance. Thomas Jefferson, a famous Aries. Aries men tend toward leadership roles not because they seek power, but because they are stoic, steadfast and strong-willed. Unlike Aries women, Aries men are more at risk of becoming power-hungry and forgetting about what’s most important in life. Relationships with Aries men, who are impossible to “contain,” may seem difficult at times. A person who exemplifies the good qualities of an Aries won’t be cruel or selfish, however, they are willing to compromise and also provide a strong shoulder for any of their loved ones to lean on. Their success in the businessworld is also often an incredible gift. Understand that they may feel frustrated when they are unable to lead, or in a powerless situation. Try to give them room to lead, even if it’s just an illusion. Let them choose the location for your date, or feel as if they’re the ones trying to pick you up (even if it’s the opposite!). Don’t take their stoicism as a sign of being grumpy or unemotional, they tend to lean towards these emotions as a means of dealing with their daily life. Do you have any experience with Aries men? Leave a comment for other readers! 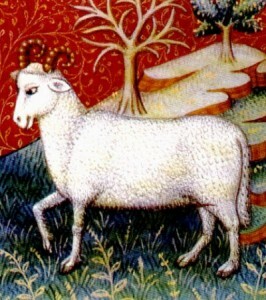 Aries, (meaning “ram”) is the first astrological sign of the zodiac and is a Fire sign. Aries personalities are that of a natural born leader, someone who is always inclined to pave the way and find his or her own path. The power and courage of an Aries are contagious characteristics, and people can become easily swept up by their passion. They exhibit a fiery passion for life that can at times get them in trouble. As the first sign of the zodiac, Aries are always natural leaders. They thrive in conditions of absolute freedom. The personality of an Aries is one that excels at “thinking outside the box,” and they are often naturally gifted entrepreneurs. Aries are blunt and to the point, which people can misunderstand as bullishness. In reality, they are very empathetic toward other people, especially those they lead.